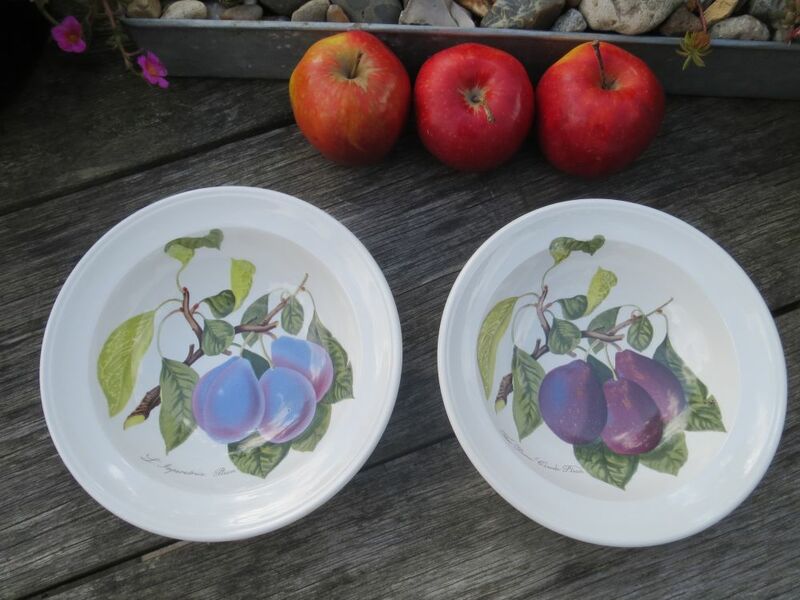 They are the Hoary Morning Apple, The Reine Claude Plum, the Roman Apricot and the Shropshire Damson. 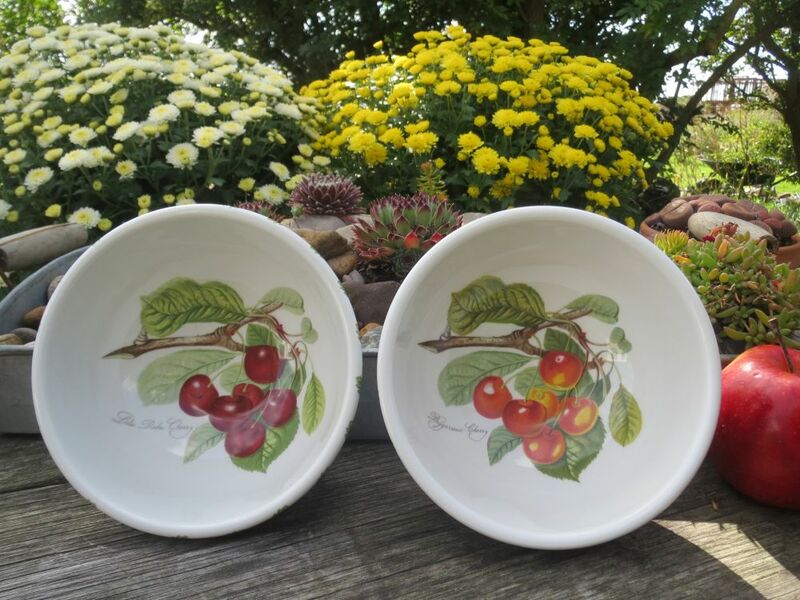 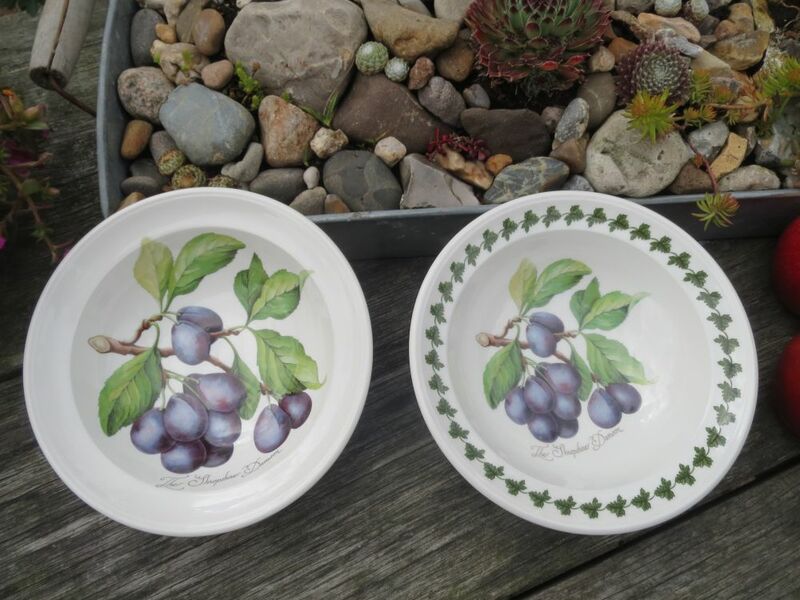 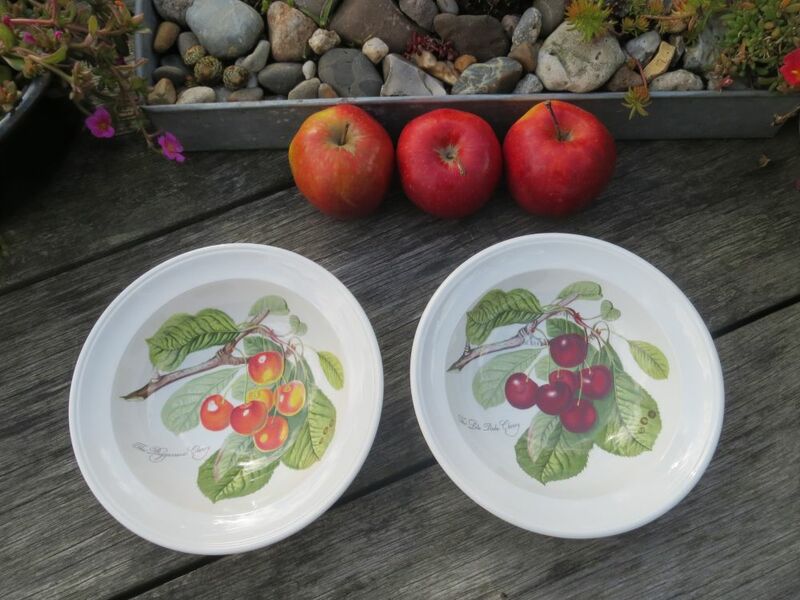 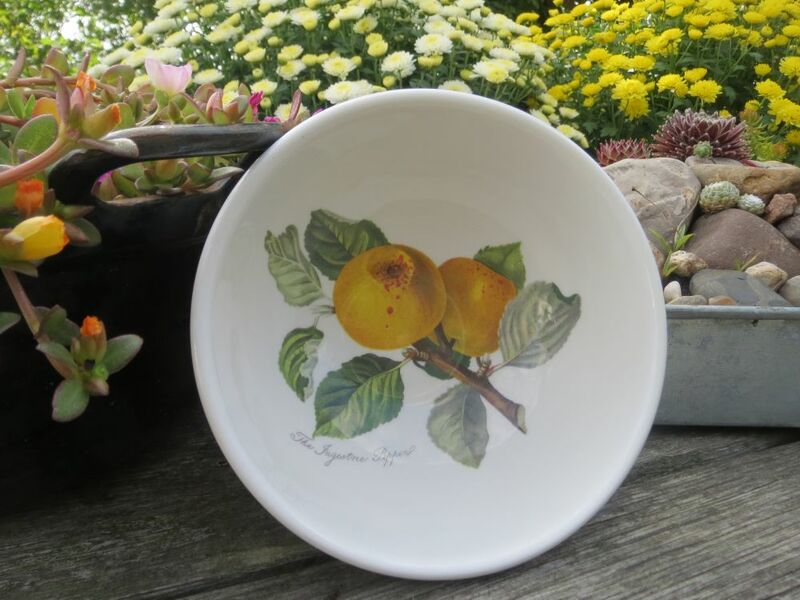 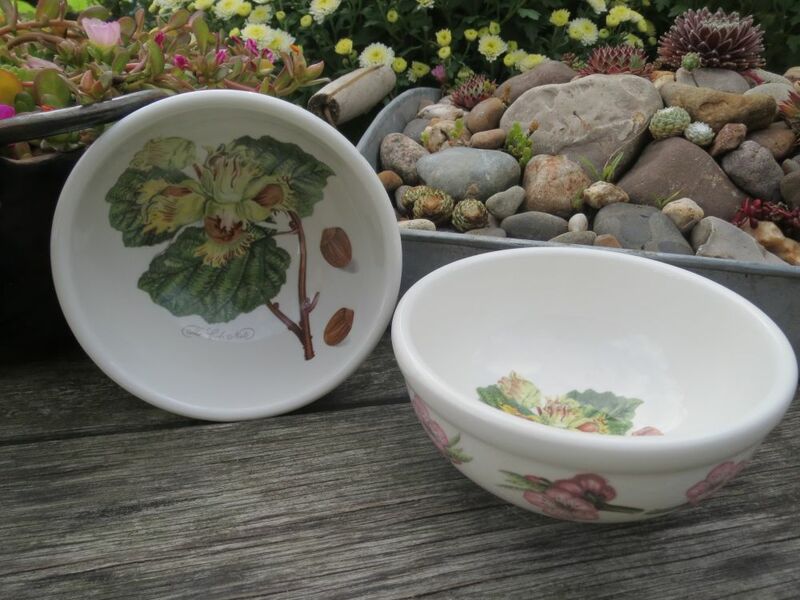 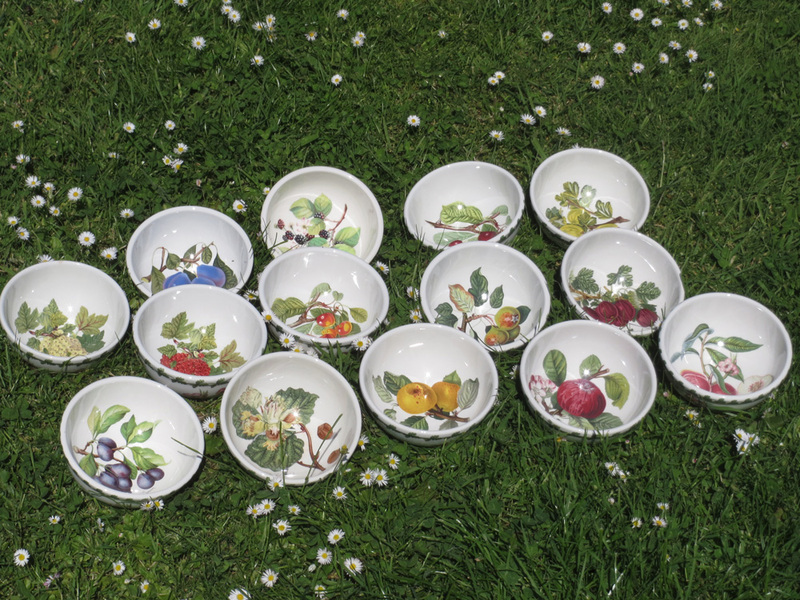 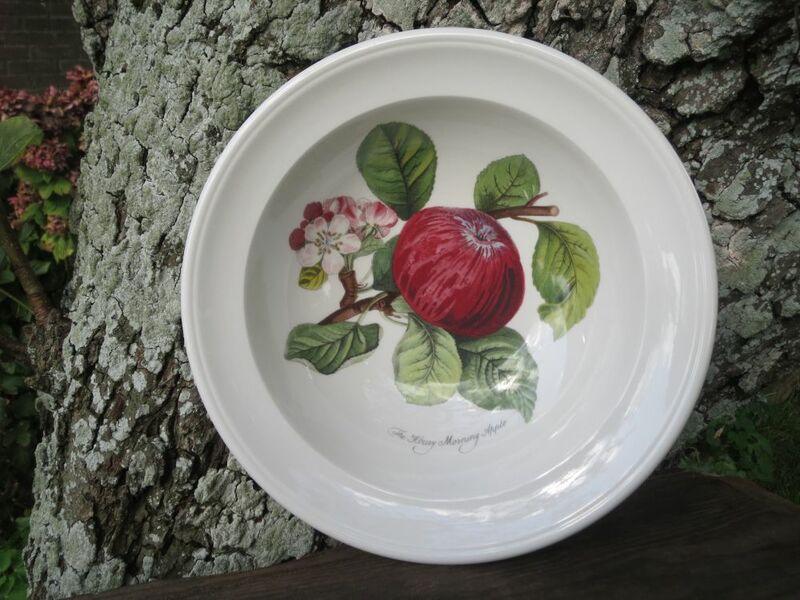 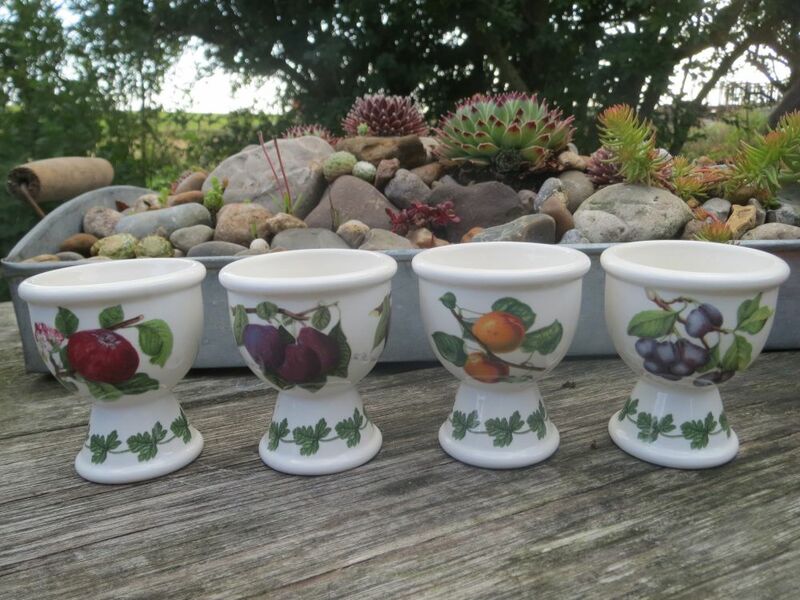 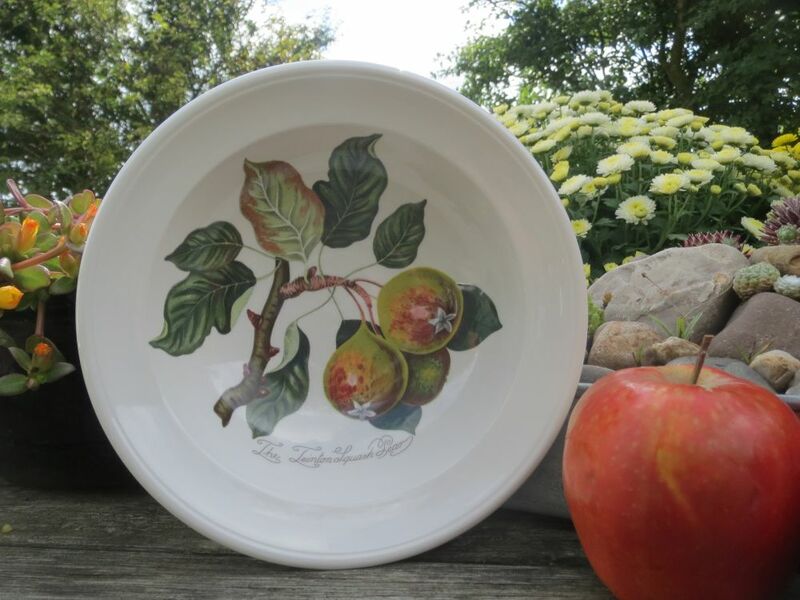 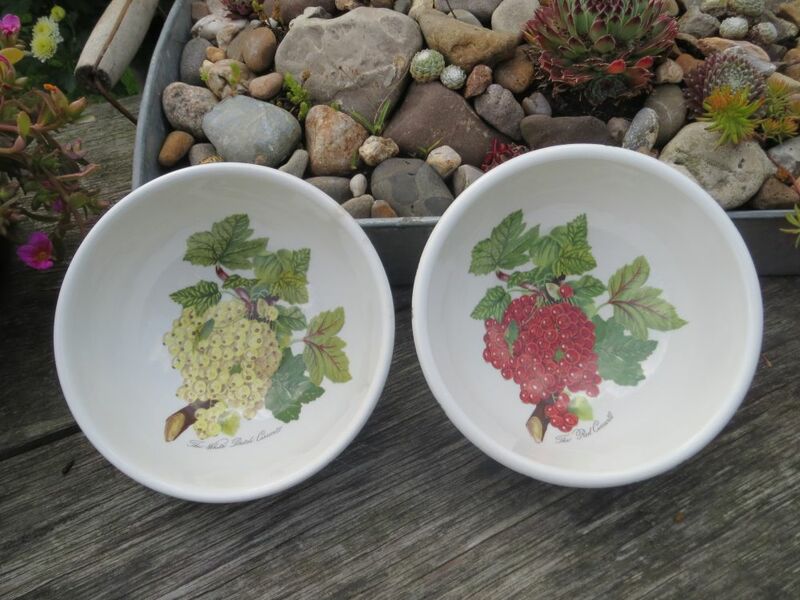 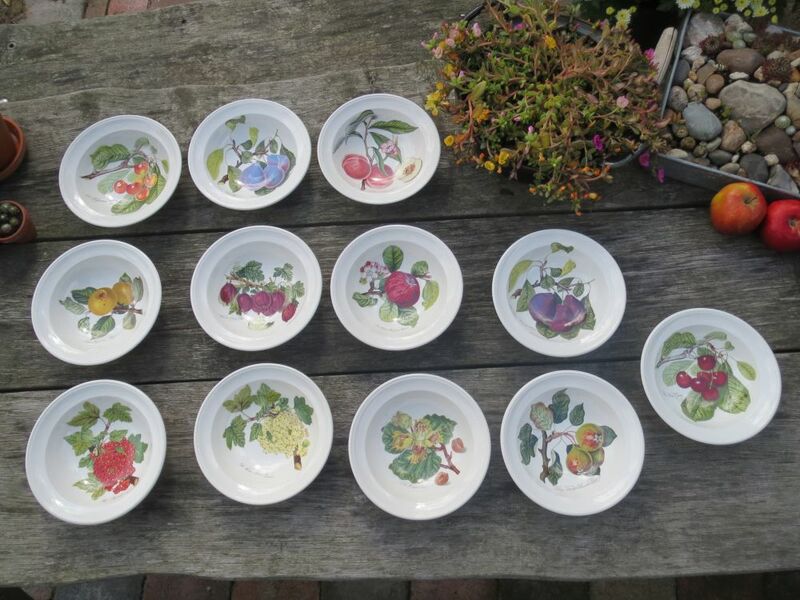 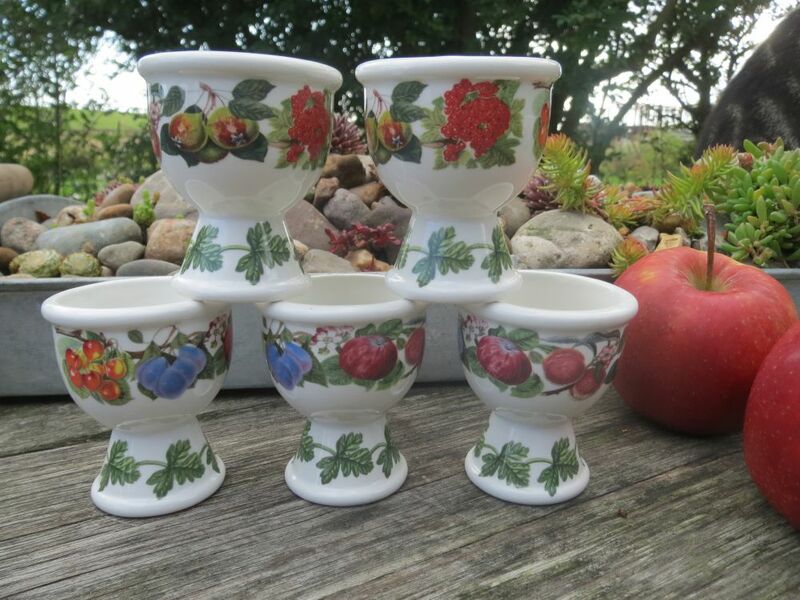 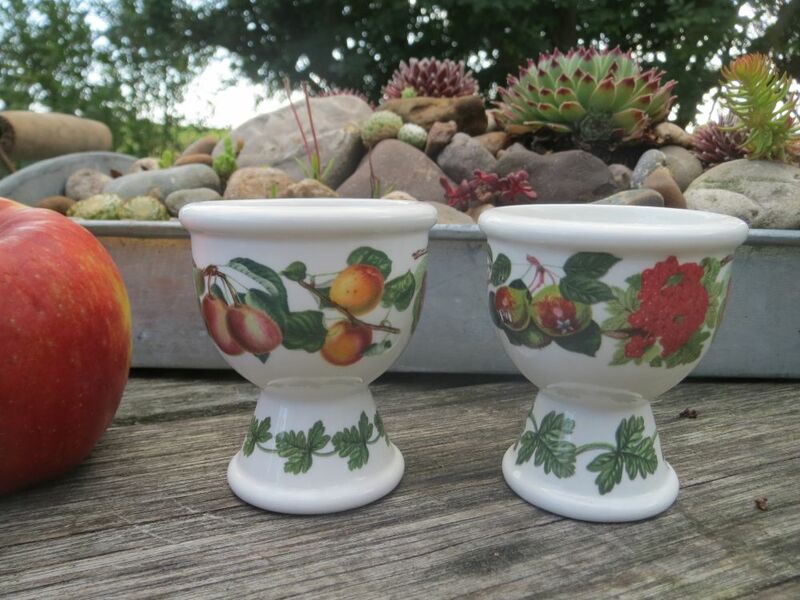 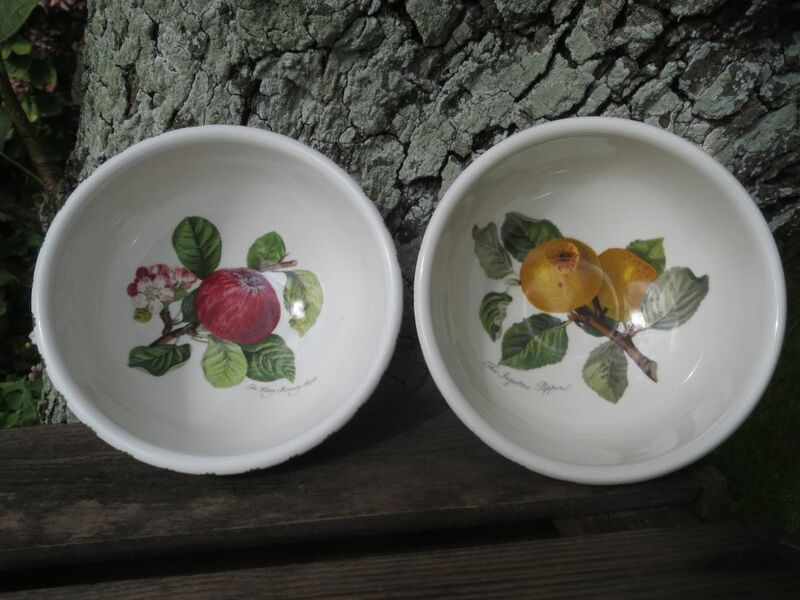 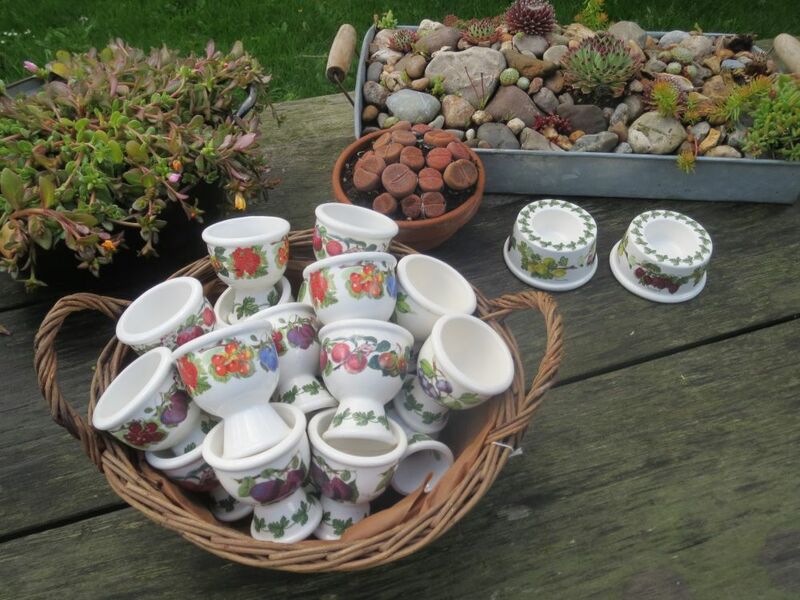 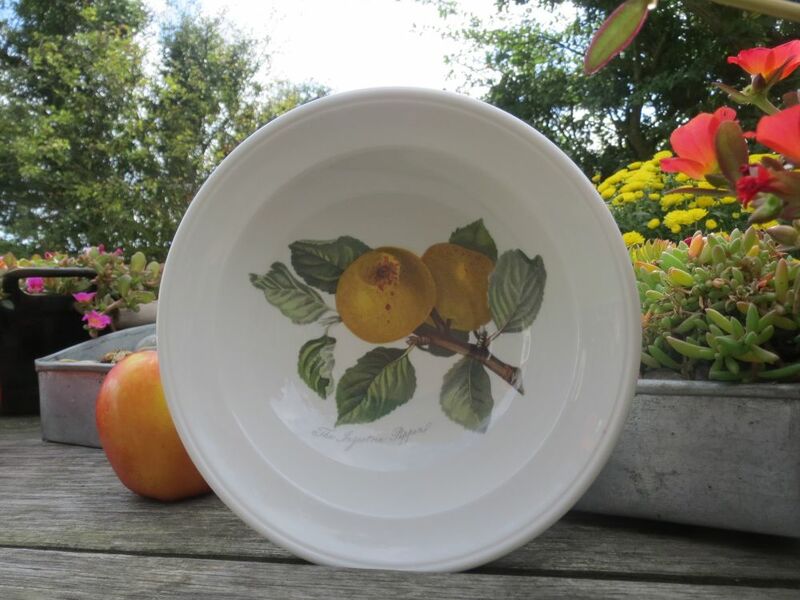 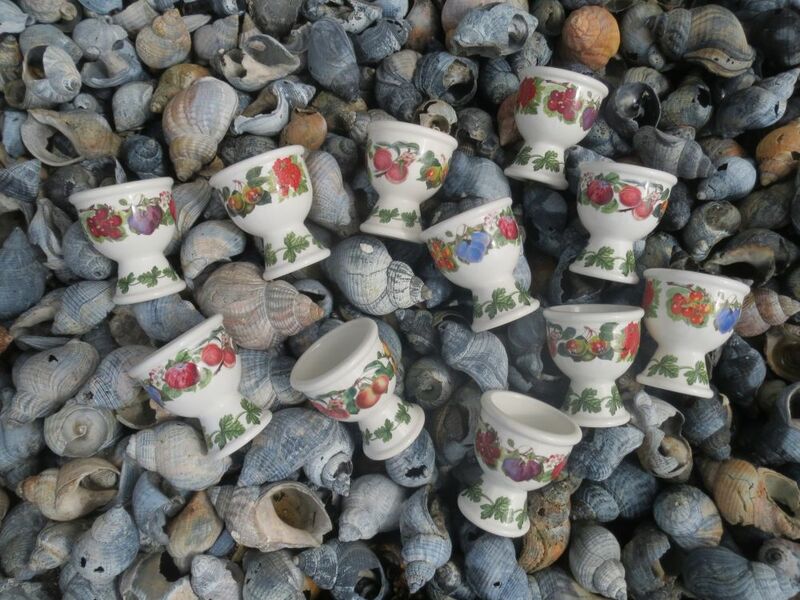 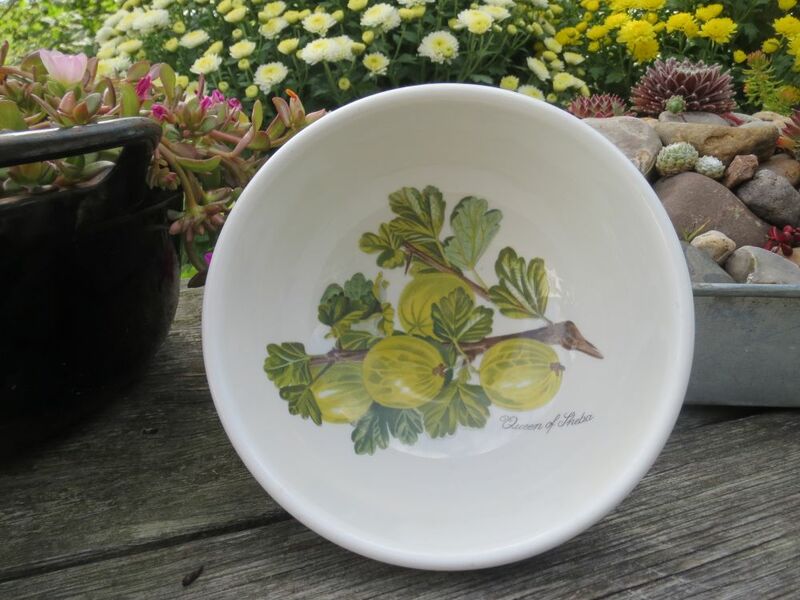 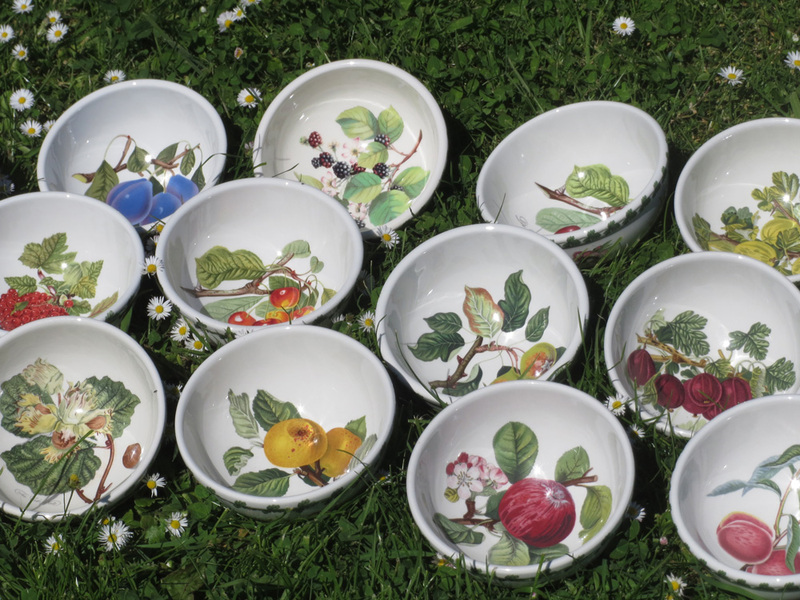 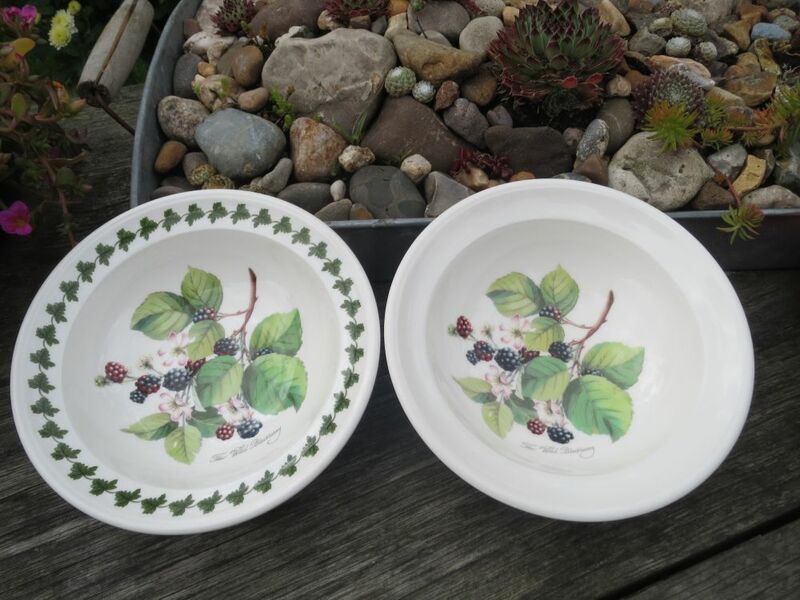 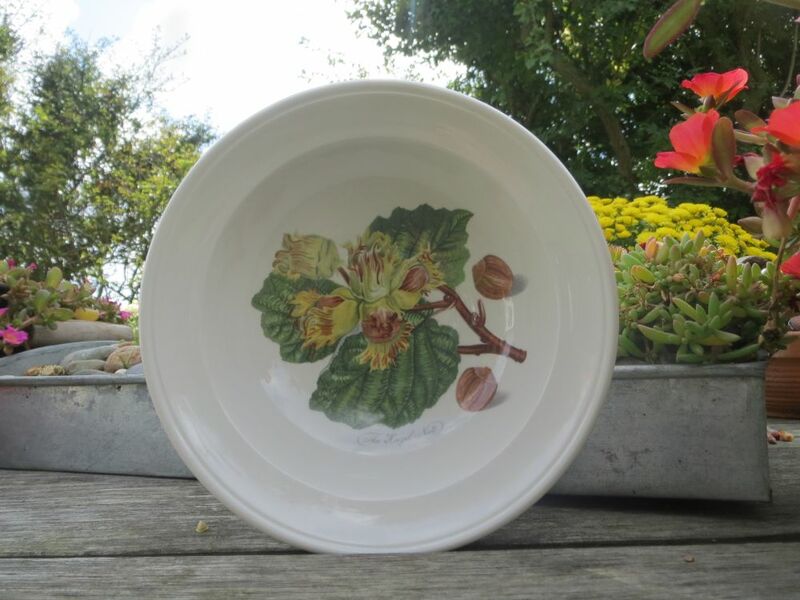 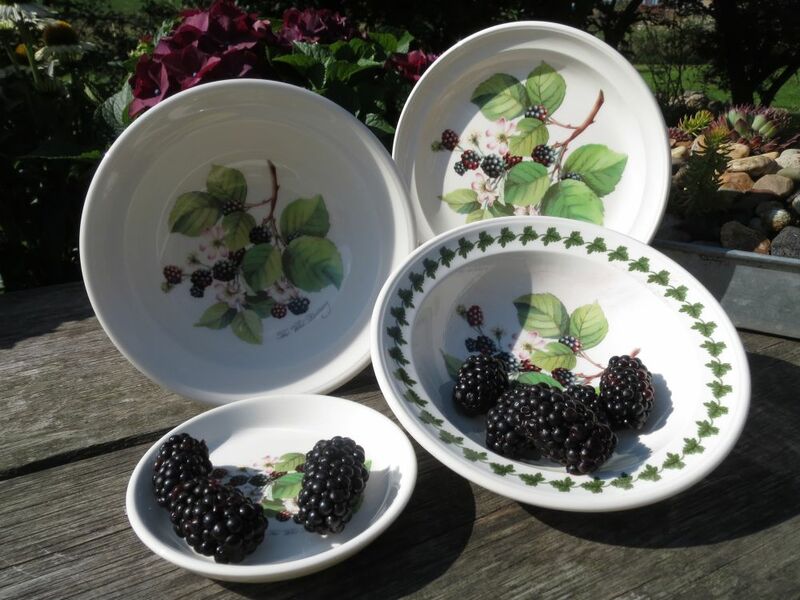 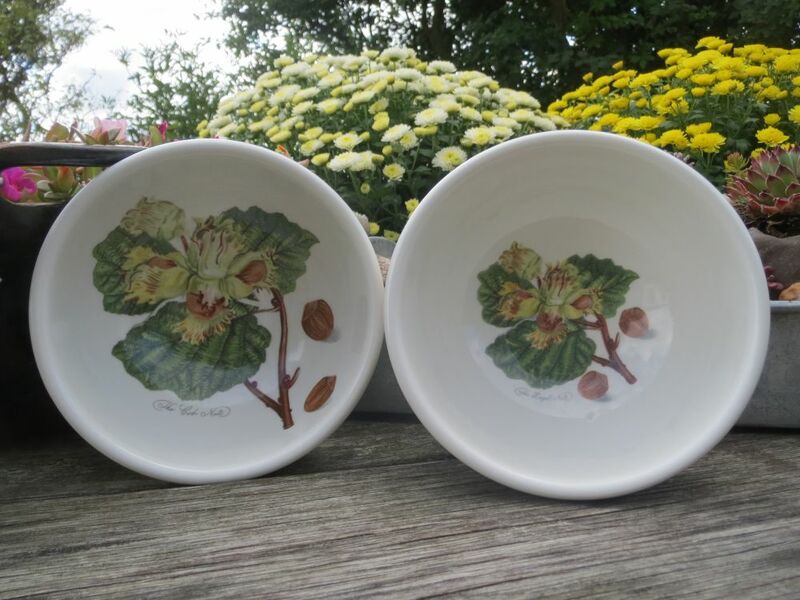 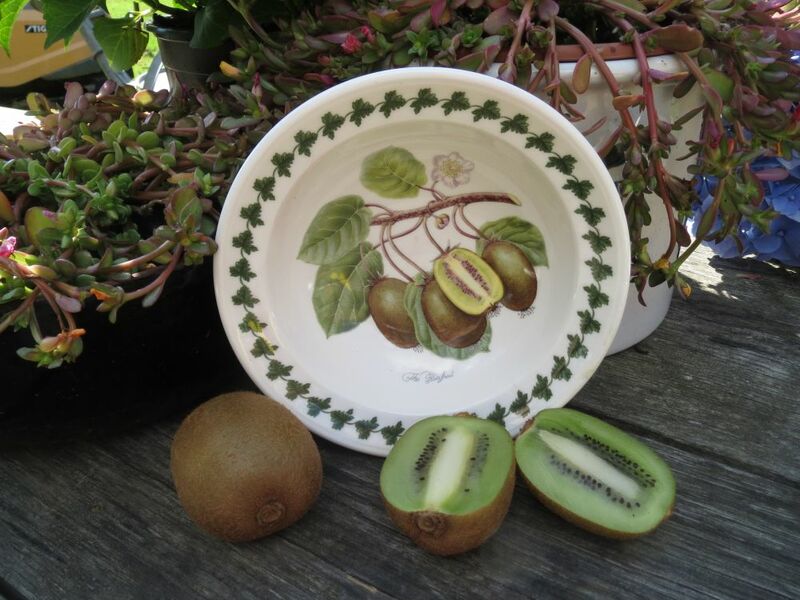 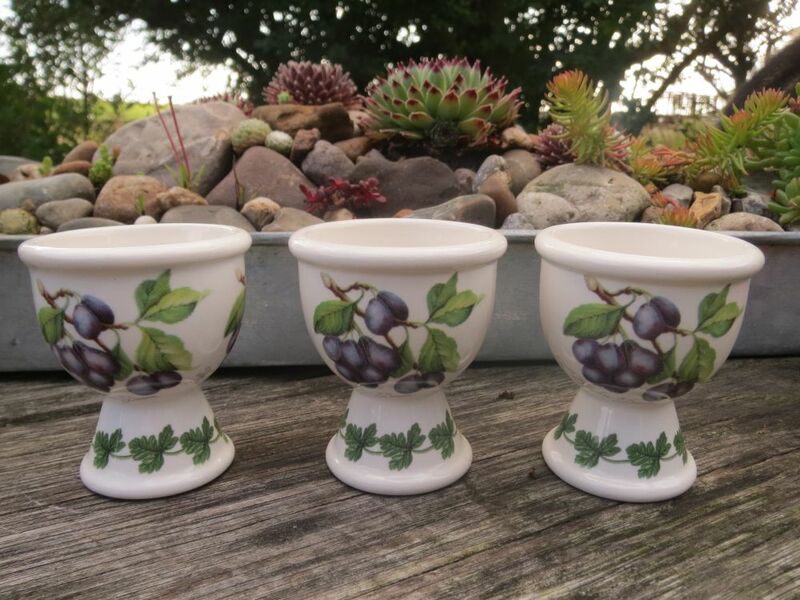 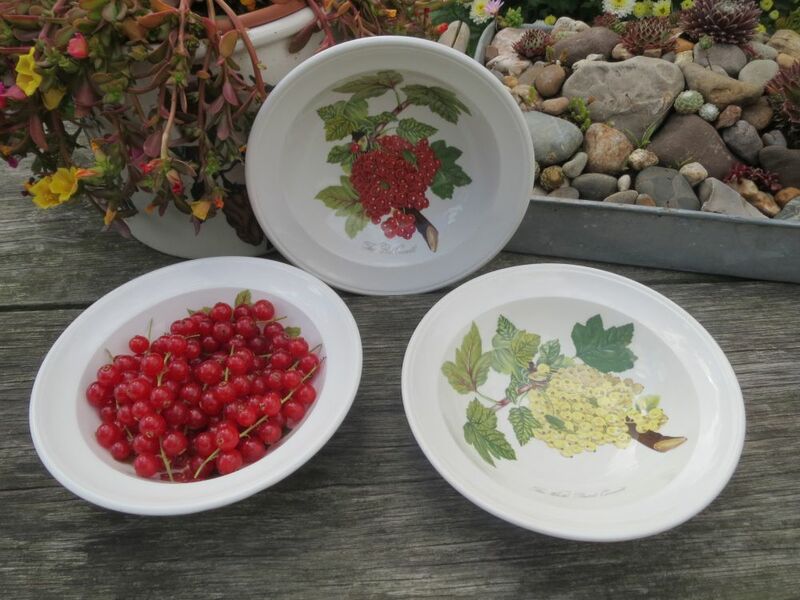 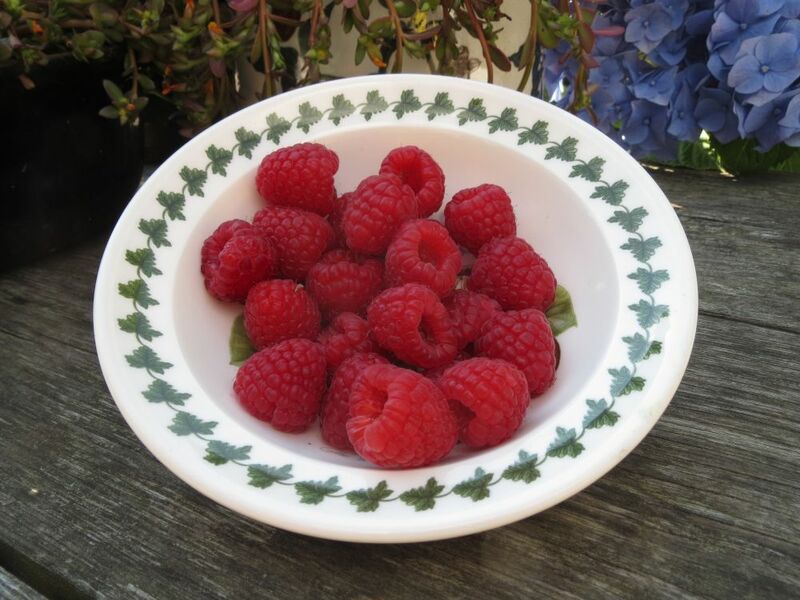 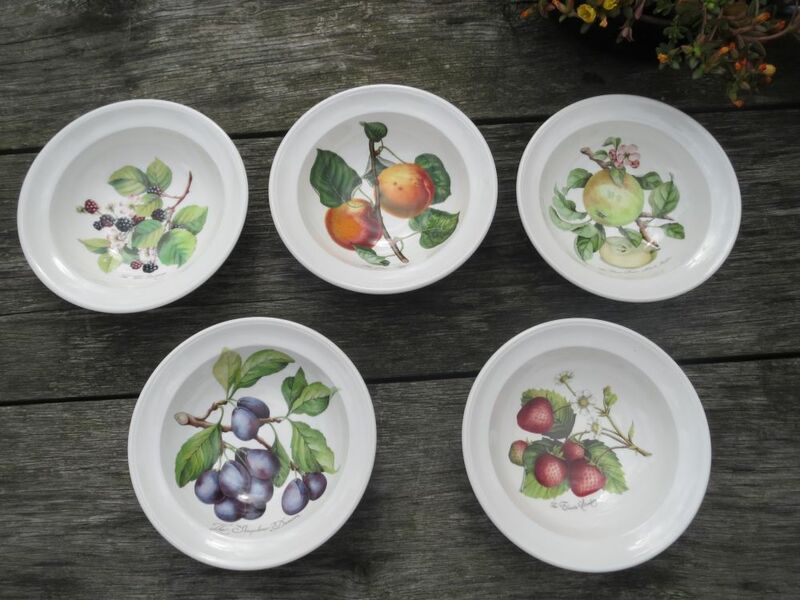 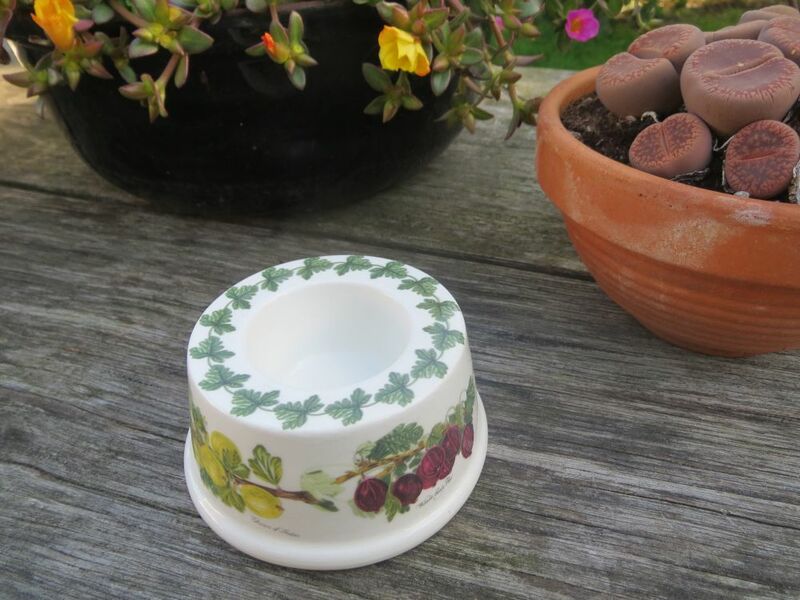 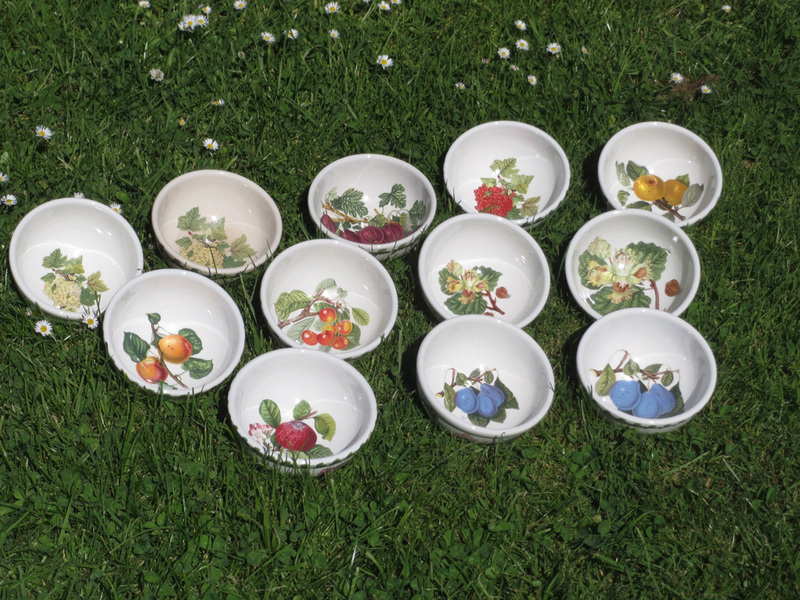 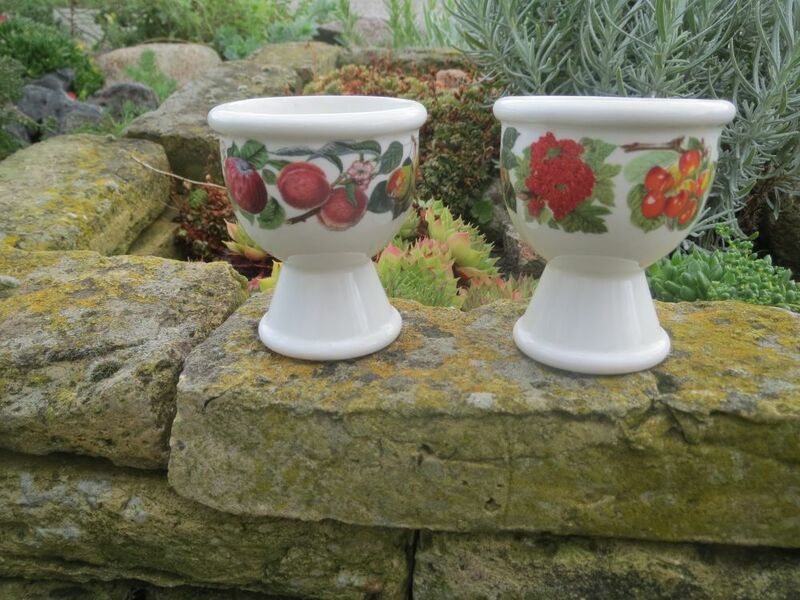 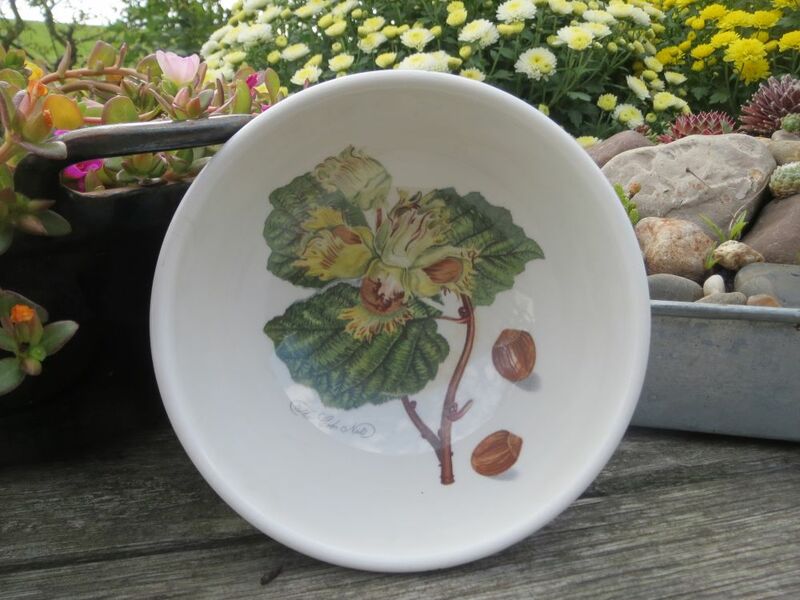 The motifs on these 5.5 inch bowls are: White Dutch Currant, Imperatrice Plum, Wild Blackberry, Late Duke Cherry, Queen of Sheba, Red Currant, Biggerraux Cherry, Teinton Squash Pear, Wilmots Early Red, Shropshire Damson, Hazel Nut, Ingestrie Pippin, Hoary Morning Apple, Grimwoods Royal Peach. 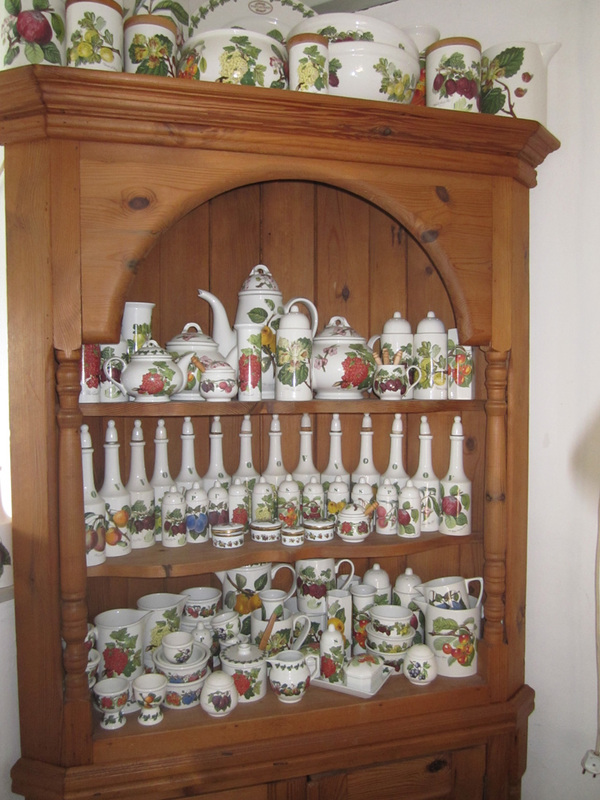 They are early motifs, retired soon after the range was launched. 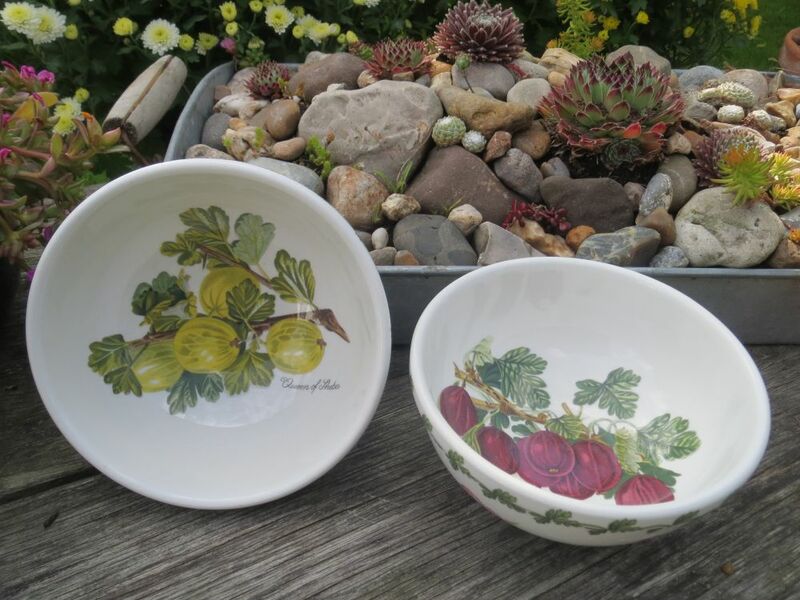 They are wonderful to look at and look great with a fruit salad. 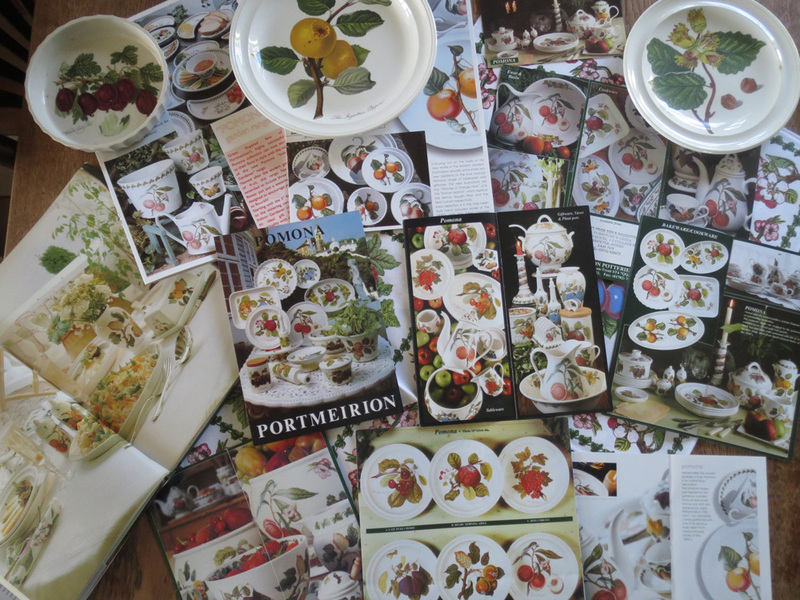 I am still hunting for more different motifs.